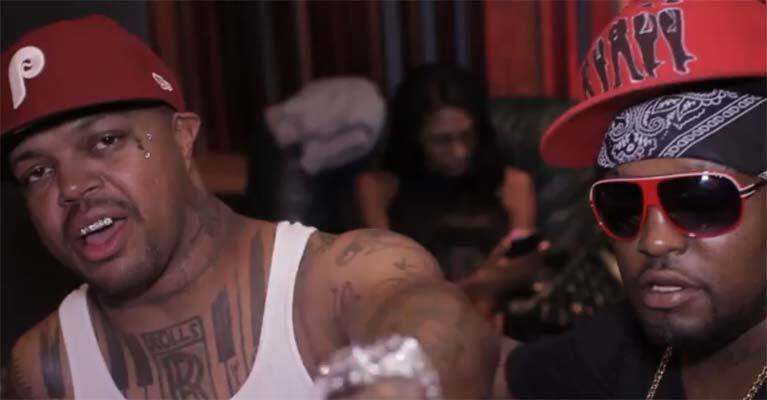 Unseen video footage of Three 6 Mafia nka Da Mafia 6ix showing DJ Paul, Lord Infamous, Gangsta Boo, Koopsta Knicca, Crunchy Black as well as La Chat hanging out in the studio has surfaced online. In the unseen video footage, DJ Paul is seen kicking it with his brother Lord Infamous before his untimely death talking about how they came to form Three 6 Mafia’s music style. The founders of Three 6 Mafia speak on how Three 6 Mafia got started and Paul expresses the impact that the Mafia’s music has had on hip hop and music itself. DJ Paul delves into when he first started producing for North Memphis rap veteran Kingpin Skinny Pimp referring to him as one of the “popular” rappers back in the day before he, himself, had started producing for anyone other than himself and Lord Infamous. Check out the unseen video footage of Three 6 Mafia nka Da Mafia 6ix hanging out in the studio after years of a hiatus apart.